Kitsilano Beach Park down the road here in Vancouver. I described Kitsilano Beach as my “Muse” in my Canada Day post in 2015. Take a look and you’ll see why my heart is so often there. 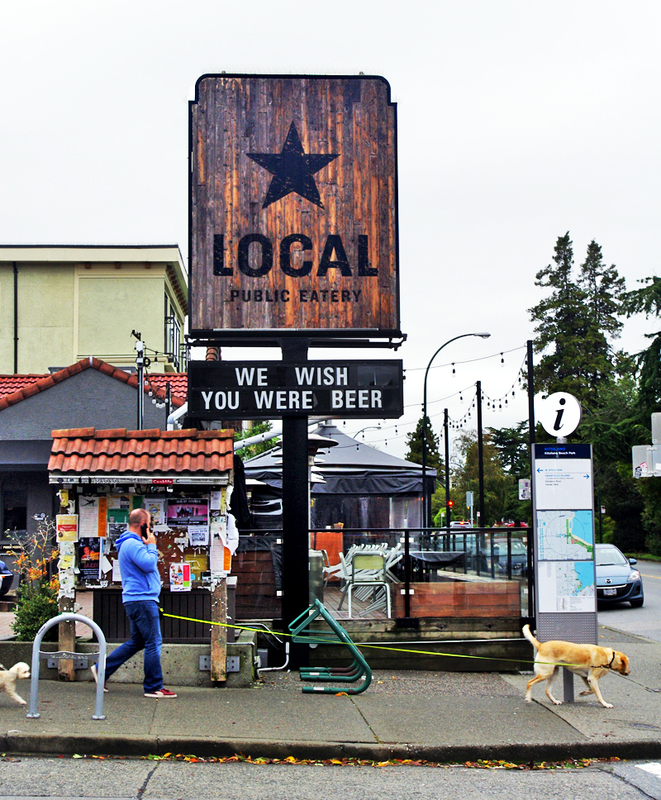 Great photo – wish you were beer – hah! Love the sign. Bet they serve a good ale! love that first shot especially for conveying ‘Local’… a snippet and a snapshot of whats going on at the local pub! 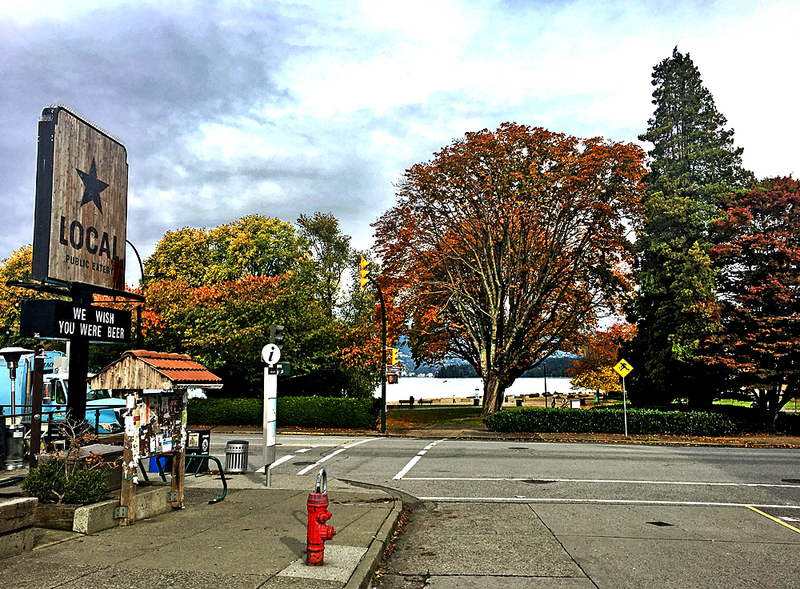 Must admit I missed this on in Kitsilano! Doesn’t bget much more local than this does it?? I love the lab towing his owner, glued in turn to his phone past the sign – like a misplaced huskie with no sled!! !